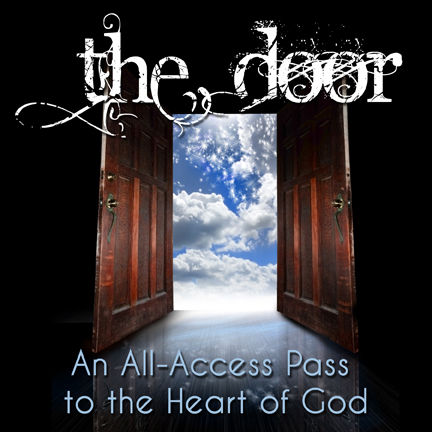 We all know a door gives access to or from a place.There is a door God has given to man to enter by a Shepherd who guards the soul’s of his sheep and that Shepherd is the Lord Jesus Christ.If anyone tries to enter into the sheepfold any other way they are considered to be a thief or robber! “Verily, verily, I say unto you, he that entereth not by the door into the sheepfold, but climbeth up some other way, the same is a thief and a robber”. (John 10:1). The voice of the Shepherd is like no other and the sheep who are sensitive to his voice follow it and do not follow the voice of a stranger. “To him the porter openeth; and the sheep hear his voice: and he calleth his own sheep by name,and leadeth them out. And when he putteth forth his own sheep, he goeth before them, and the sheep follow him: for they know his voice. And a stranger will they not follow, but will flee from him: for they know not the voice of strangers”. (John 10:3-5). There are imposter shepherds and many sheep are being scattered of which the prophet Jeremiah foretold would happen for they will teach the sheep wrongly and God will then gather his own from their lying folds.He will set up the Shepherds that will teach the sheep HIS TRUTH!”Woe be unto the pastors that destroy and scatter the sheep of my pasture! saith the Lord.Therefore thus saith the Lord God of Israel against the pastors that feed my people; ye have scattered my flock, and driven them away, and have not visited them: behold, I will visit upon you the evil of your doings, saith the Lord. And I will gather the remnant of my flock out of all countries whither I have driven them, and will bring them again to their folds; and they shall be fruitful and increase. And I will set up shepherds over them which shall feed them; and they shall fear no more, nor be dismayed, neither shall they be lacking, saith the Lord”. (Jeremiah 23:1-4). If we are sensitive to seeking for the knowledge of God’s truth he will knock on the door of your heart and will be a guide to you all the days of your life. “Behold, I stand at the door, and knock: if any man hear my voice, and open the door I will come in to him, and will sup with him, and he with me”. (Revelation 3:20). There is a door that our Lord has the key to and that is the door that God gave by prophesy which is the key of the house of David. “And the key of the house of David will I lay upon the shoulder; so he shall open, and none shall shut; and he shall shut, and none shall open. And I will fasten him as a nail in a sure place; and he shall be for a glorious throne to his father’s house”. (Isaiah 22:22-23). “And to the angel of the church in Philadelphia write; these things saith he that is holy, he that is true, he that hath the key of David, he that openeth,and no man shutteth; and shutteth, and no man openeth; I know thy works: behold, I have set before thee an open door, and no man can shut it: for thou hast a little strength, and hast kept my word, and hast kept my word, and hast not denied my name”. (Revelation 3:7-8).